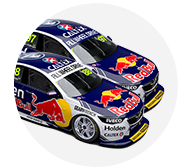 Jamie Whincup will switch to Triple Eight’s spare chassis for the ITM Auckland SuperSprint, after his primary car was heavily damaged at the Vodafone Gold Coast 600. Co-driver Paul Dumbrell crashed out of the second Gold Coast race last Sunday; caught out by the slippery conditions in what is thought to have been his last PIRTEK Enduro Cup start. While the front-on impact was not severe, the car was subsequently collected in its right-rear corner by Macauley Jones’ Holden, causing significant damage. With the team needing to finish its pre-Pukekohe preparation by today (Friday) before the cars are air-freighted to New Zealand, the team has pressed its spare chassis into service. 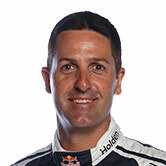 Team manager Mark Dutton told Supercars.com the decision was made to ensure the most efficient turnaround between events. “From the outside, the damage definitely didn’t look too bad, because when the right-rear was hit by the other car, it connected directly to the wheel,” he said. “So all the external bodywork looked pretty much fine, but it was a decent hit and the wheel did some damage along its path. “Like anything, if you really, really pushed, we could have got it repaired in time for NZ, but it was slightly simpler to get the spare car ready. 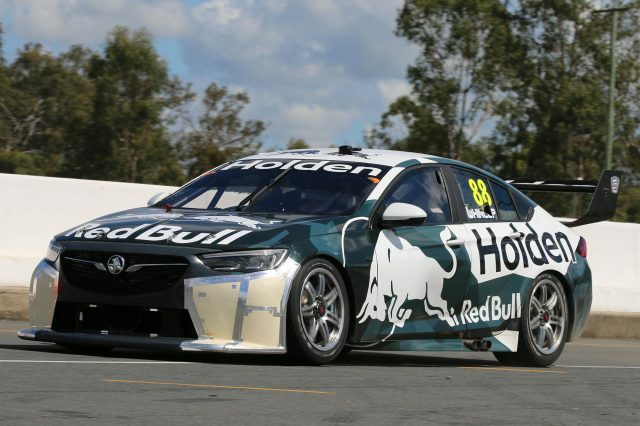 The spare Whincup will race was built last year as Triple Eight’s prototype ZB, used for development and homologation duties from September-December. That included a shakedown at Norwell, a test at Ipswich and straight-line running at Stanthorpe Airport and the East Sale RAAF base; all undertaken in a testing livery. After being used for an evaluation day in January, it was parked and earmarked for use as a V6 wildcard later in the season, before that plan was scrapped. It eventually reappeared for a two-lap shakedown at Ipswich as #1A with Craig Lowndes at the wheel on September 5, before being run at a recent ride day. “It did the ride day, so it’s not like it’s been sitting around gathering dust, but there was still a fair bit of work to get things ready,” Dutton added. “The seating was different, and a few bits and pieces that you tidy up through the year, the crew has been working pretty decent nights all week to get it prepared. Whincup heads to Pukekohe third in the standings, 433 points adrift of leader Scott McLaughlin, with his chances of a seventh title effectively over. He will return to his primary chassis for Newcastle, with the spare car needed for comparison running at the Ford Mustang’s aerodynamic homologation test following the event. Like Triple Eight’s first ZB, DJR Team Penske’s maiden Mustang will also be a ‘prototype’ car; used for development testing before being assigned as the squad’s spare for 2019.